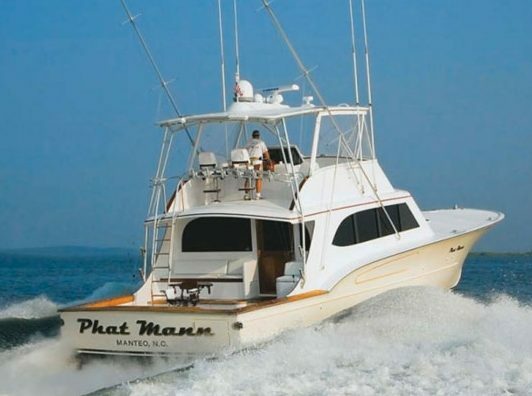 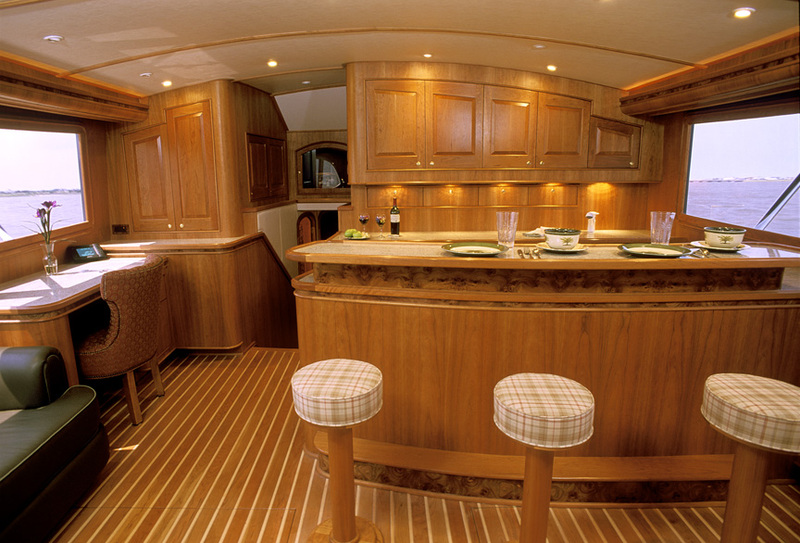 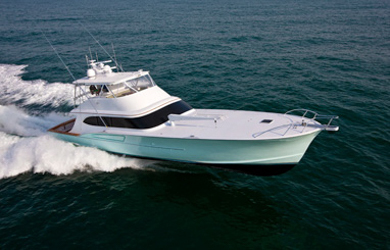 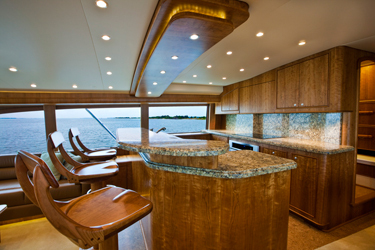 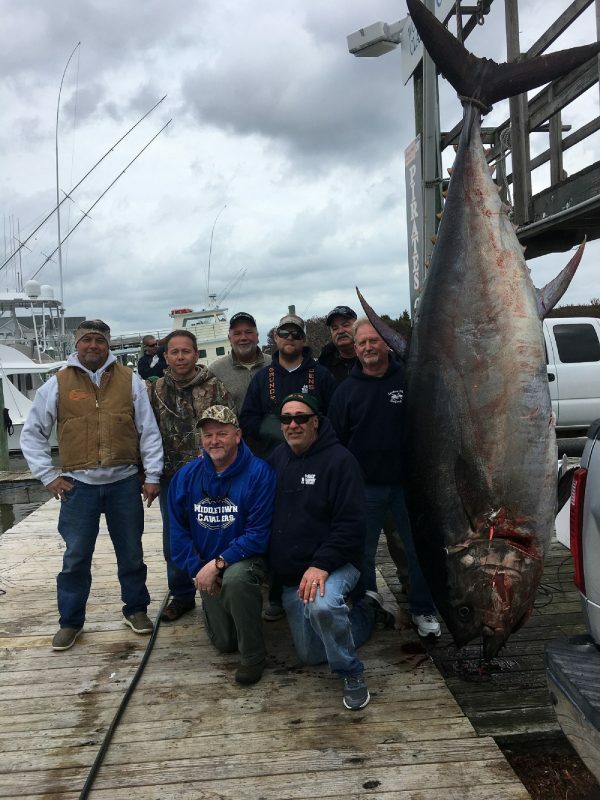 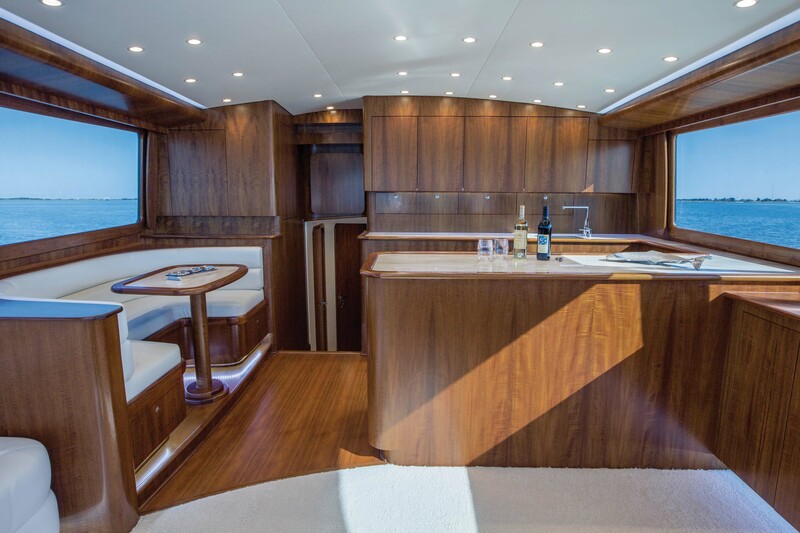 Citing the incredible performance of Paul Mann boats and especially the great interior design and world-class woodwork, Salt Water Sportsman recently named the Paul Mann 65' as one of the top sportfishing boats of all time. 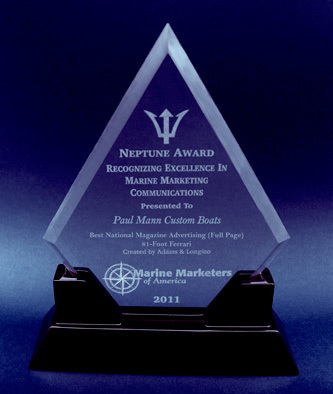 Marine Marketers of America (MMA) in association with the National Marine Manufacturers Association (NMMA) announced the winners of its fourth-annual 2011 Neptune Awards for Marketing Excellence during the association's co-produced luncheon with Boating Writers International (BWI), held October 26 in the Grandview Room of the Bahia Mar Resort during the Fort Lauderdale International Boat Show. 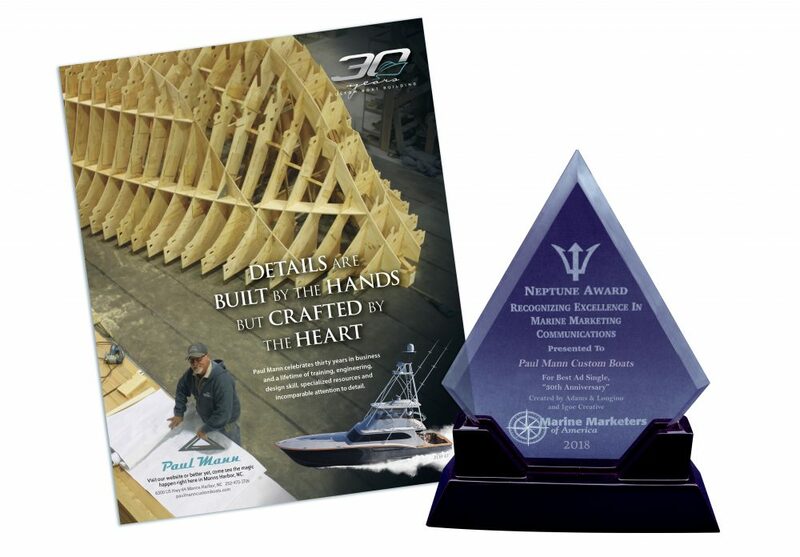 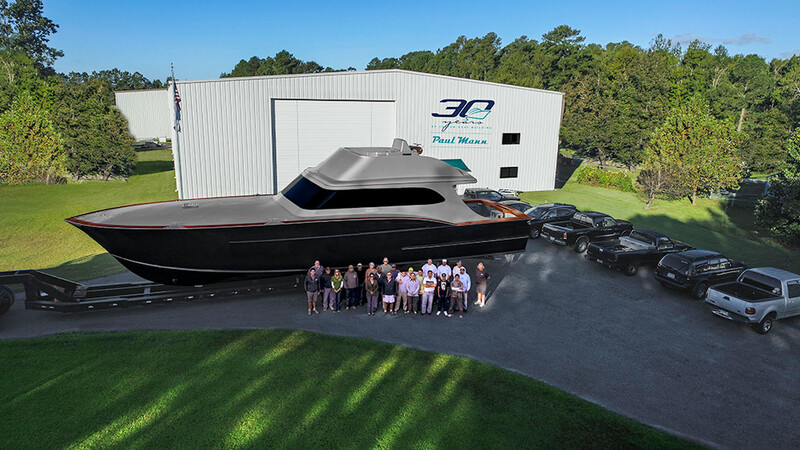 Paul Mann Custom Boats won for Best National Magazine Advertising (Full Page): for "81-Foot Ferrari" created by Paul Mann Custom Boats with Adams & Longino Advertising of Greenville NC.